This little historic walled city on the south coast of Croatia is sure to delight everyone who visits its shores. Dubrovnik is an up-and-coming tourist destination that offers an unusual departure from the usual visiting spots. There are some fantastic cruise deals visiting Dubrovnik on our Greece cruise deals page, amongst others. But keep reading to find out more about the city and what you’ll do there. Dubrovnik is built around an ancient walled city, sat at the foot of a mountain and facing out onto the Adriatic Sea. This in a nutshell is why the city is Croatia’s most popular tourist destination. It is effectively a medieval town, rebuilt after a devastating earthquake in 1667. The city has since expanded outside the ancient city walls but it remains no less beautiful further out, with beautiful gardens and quaint houses. During the warmer months, outdoor cafes and restaurants remain crowded into the late hours, giving a genuine sense of warmth and community. The biggest attraction for most visitors is the Old Town inside those city walls. Here the old architecture and cobbled streets have been wonderfully preserved – a great place to soak up the atmosphere. Mount Srd is another must-see – a 412-metre summit providing stunning views of the city and beyond. 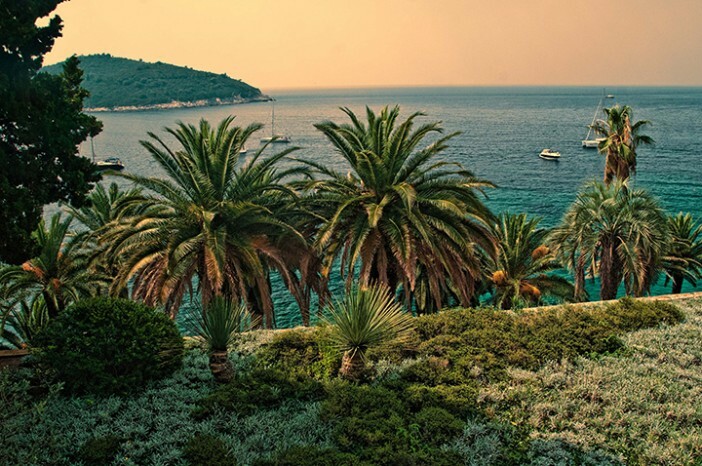 And Lokrum, just a short taxi-boat ride away, is great for swimming and soaking up some sun. When it comes to dining, the area is known for its seafood, with the nearby waters full of squid, lobster and shells. But look around and you’ll find food from all corners of the globe. You can book some fantastic cruises that visit Dubrovnik on our Greece cruise deals page and our Italy cruise deals page. If you can’t see any you like the look of there, use the search tool to see what you might have missed. We’re always updating our cruise deals, so check back regularly to find the latest. You’ll start your trip with a flight from Australia, before embarking on a cruise from Athens, Greece. You’ll then visit Bodrum (Turkey), Katakolon, Messina (Sicily), Naples, Rome, Corfu, Kotor, Dubrovnik and Venice, before your flight back to Australia. After a flight from Australia, your cruise will start from Venice and visit Dubrovnik, Ephesus, Santorini, Katakolon, Venice, Kotor, Naples, Rome, Florence/Pisa, Toulon and Barcelona. From there you’ll fly back to Australia. Images sourced via Flickr Creative Commons. Credit: Trish Hartmann.